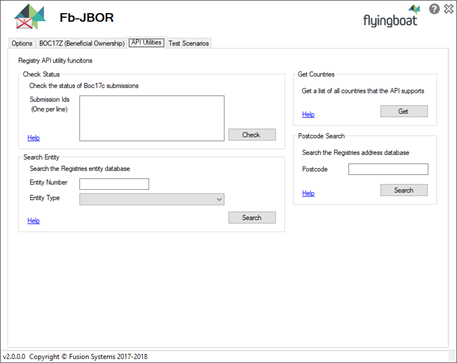 Fusion is pleased to announce the availability of an update to fb-JBOR a regtech software application for electronic filing and update of the Jersey Beneficial Ownership Register. The updated version of the software provides support for all of the electronic filing functionality that the Jersey Financial Services Commission has provided for the Register to enable any organisation to submit their beneficial ownership information electronically. Under Jersey law changes in beneficial ownership and control must be reported to the Registry within 21 working days. Alan Rowe - Director at Fusion commented "As the regulatory compliance burden increases it is essential that businesses take every opportunity to look at ways that they can ensure compliance with the law on a timely and efficient basis at the least cost and regtech solutions like fb-JBOR do exactly that." Building on technologies and concepts found in Fusion's widely used Flyingboat Tax Data Exchange software the updated application provides an easy to use solution for compliance with the legal requirements. Data capture can be via a standard spreadsheet template or from data extracted directly from host enterprise systems. For more details on the software and integration possibilities please contact us via our contact page.